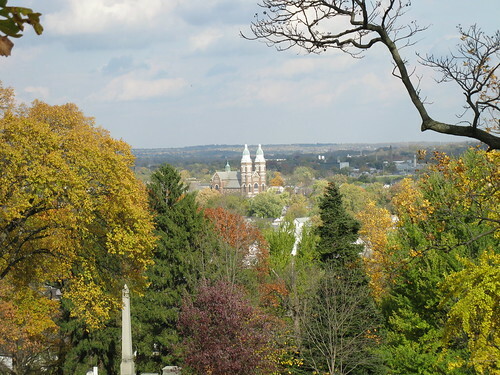 Woodland’s awesomeness was recently recognized by the U.S. Department of the Interior, which, on Nov. 22, 2011, added Woodland’s 105-acre Victorian section to the National Register of Historic Places (see Dayton Daily News 12/14/2011 and 12/18/2011, also Woodland’s press release). This is actually Woodland’s second entry on the National Register; the Romaneqsue style chapel (built in 1889) was added in 1978. Woodland Cemetery opened in 1843—for more history of the cemetery, visit their web site or the Dayton Metro Library Local History Room—and since then has become the final resting place of many of Dayton’s most prominent citizens, including the Wright Brothers, Charles F. Kettering, Edward Deeds, John H. Patterson, and Benjamin Van Cleve. 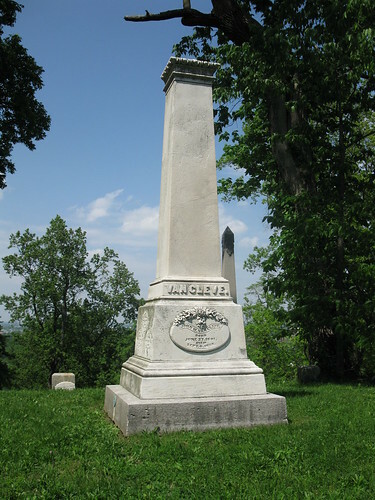 Although remains of many prominent citizens are buried or rest in crypts at Woodland, [President and chief executive Dave] FitzSimmons said the Historic Register’s selection was based on the cemetery’s notable “curvilinear” design by landscape architect Adolph Strauch (1822-83), who took advantage of the vistas created by the rolling wooded terrain. 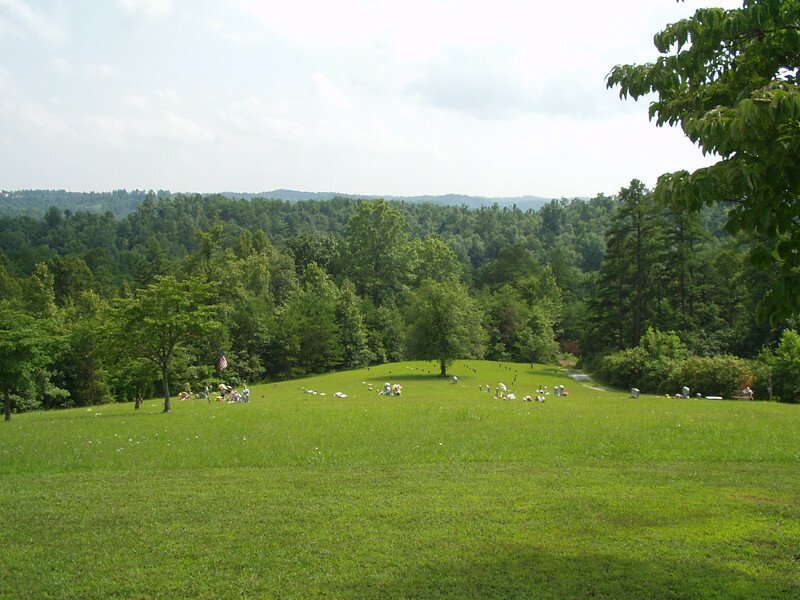 He was a proponent of what came to be known as the Rural Garden Cemetery Movement. I’m probably throwing you a curve ball with this one. A. W. Drury wrote one of my favorite local history reference books: History of the City of Dayton and Montgomery County, Ohio, 2 vols. (1909). Samuel Forrer was the Resident Engineer for the Miami-Erie Canal. To give you an idea of how important that made him to the project, here’s some trivia: when the canal opened in Dayton in 1829, “the Forrer” was the second canal boat to arrive, second only to the “Gov. 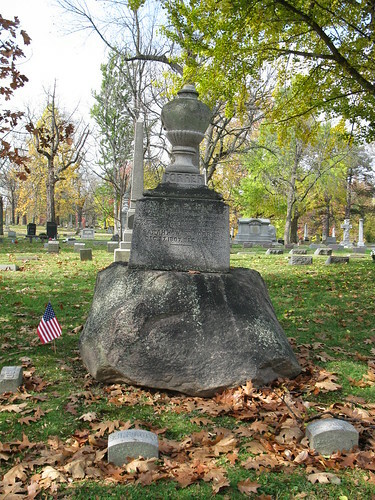 Brown” (named for Ohio governor Ethan A. Brown who was a major influence in getting Ohio’s canal projects started). I am currently in the process of organizing the Forrer-Peirce-Wood Collection (which you probably already know, if you’ve been reading my blog long! ), which includes many of Samuel’s papers, as well as those of several of his descendants. 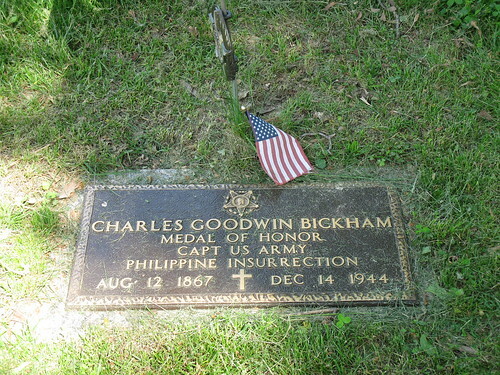 You were probably expecting me to show you the graves of some of more well-known “crowd pleasers” like the Wright Brothers, Dunbar, Johnny Morehouse, J. H. Patterson, Deeds, Kettering, Cooper, or even Zeigler. Oh, I have pics of most of those too (just click the links), but I said I wanted to highlight some of my “favorite” people. I suppose they become my favorites because I’ve “spent so much time with them” — or, with their writings, or their lives. I become very interested in the people whose “stuff” I am organizing. It’s hard not to; you’re basically reading their diary (sometimes literally). 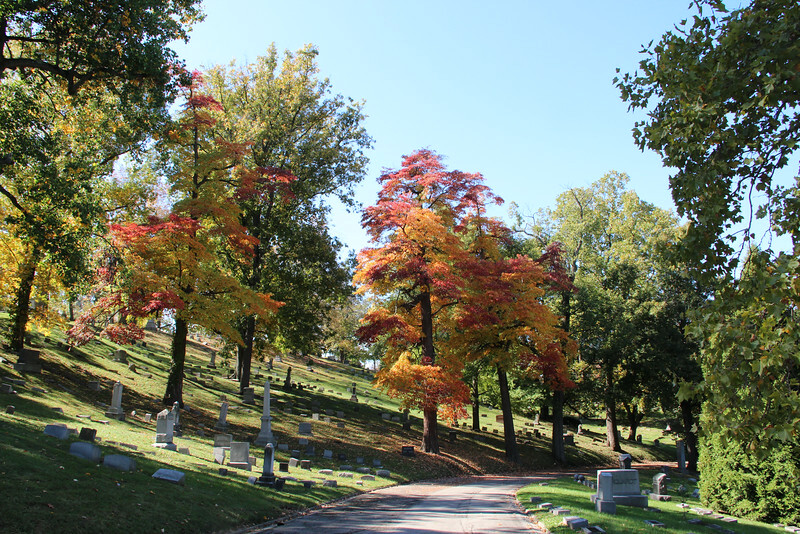 And I have tons more…check out my Woodland Cemetery Flickr set to see the rest. I try to write at least one entry per week in this blog, and by that I mean I try not to let more than 7 days pass between entries. This week I have failed. I blame the holiday weekend; had I been at work those 3 days, I probably would have “stumbled” onto something I felt like blogging about. I’m always finding, or learning, something interesting. Such is the life of an archivist. We hunted around a bit for a Kentucky ancestor of Matt’s who is supposedly buried there, along with his son, but couldn’t find either of them. Either they are not really there (making the old “story” wrong), or they were not on whatever list was used when these pretty (new) white headstones were ordered. According to the story, the father was accused of being a “rebel sympathizer” (who knows if he was or not) and was hauled off to the prison camp; the son was a confederate soldier. It was still a nice visit, even if we didn’t find them. It was nice to see the stones all decorated with American flags for Memorial Day. Regardless of which side of the Mason-Dixon line you hail from, it’s good to remember we were (and are) all “Americans”. The cemetery was established in 1825, according to the sign, so there were plenty of neat old stones in there. You know, I had more “snippets” I was going to share, but since these two are both about cemeteries, I think I will stick with that subject. It might seem strange that “I brake for cemeteries.” I always forget that’s not a particularly normal thing to do, but I’ve been doing it for so long, it seems normal to me. I’m trying to think back to how I got this way. It must be from genealogy. My grandmother got me started on genealogy when I was 13 or 14 years old. 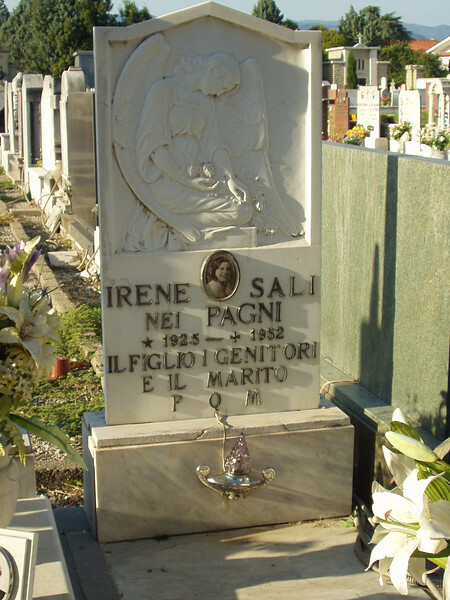 Gravestone inscriptions are one of the many sources for genealogical “clues”. 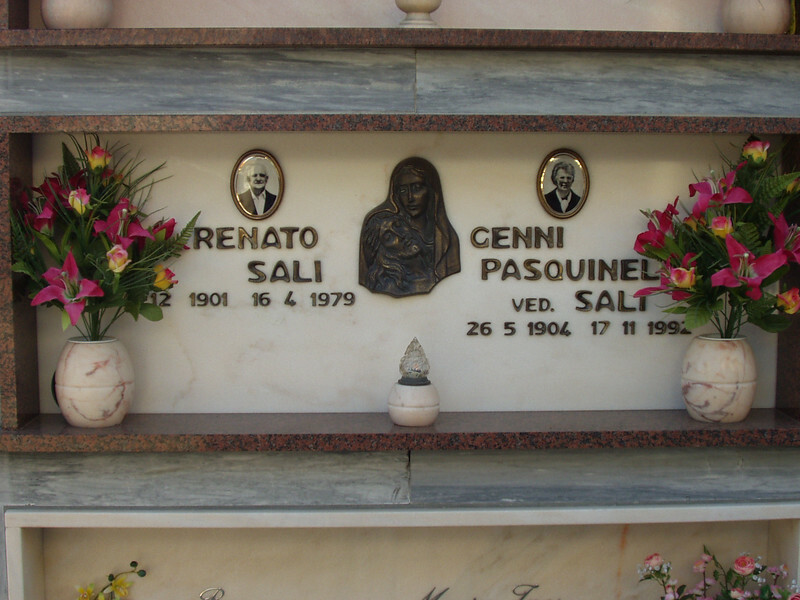 I went to many cemeteries, both looking for info, and also just to “see” my ancestors. 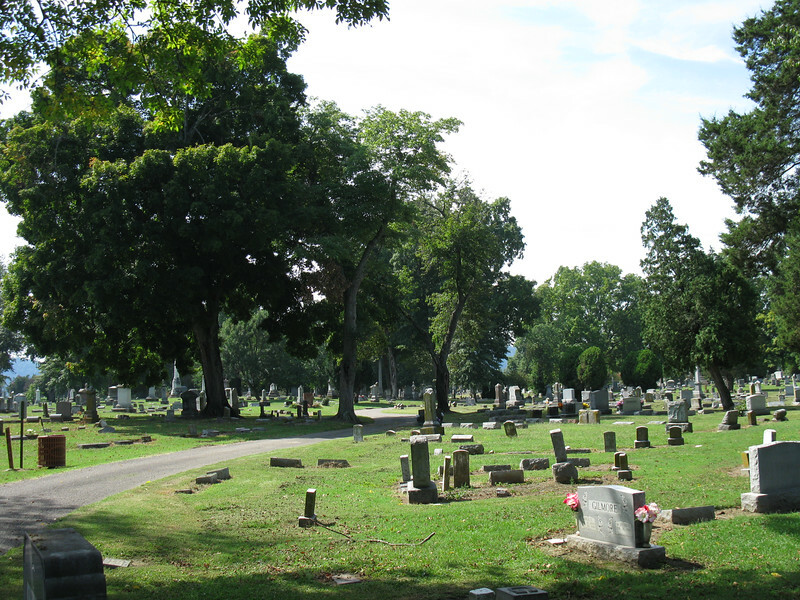 There are probably few cemeteries in Scioto County, Ohio, that I haven’t visited at least once. Sometimes, if I passed a cemetery I had not been to before, I would stop just to see if there were any names I recognized. 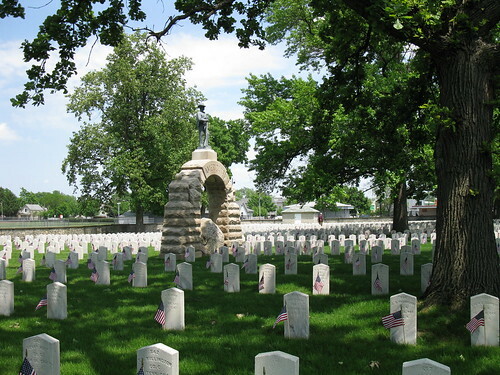 I suppose those two reasons could explain the trips to two cemeteries this weekend: hunting for a relative (in Camp Chase cemetery) and curiosity of whether there were any names I recognized (in Polk Grove cemetery). 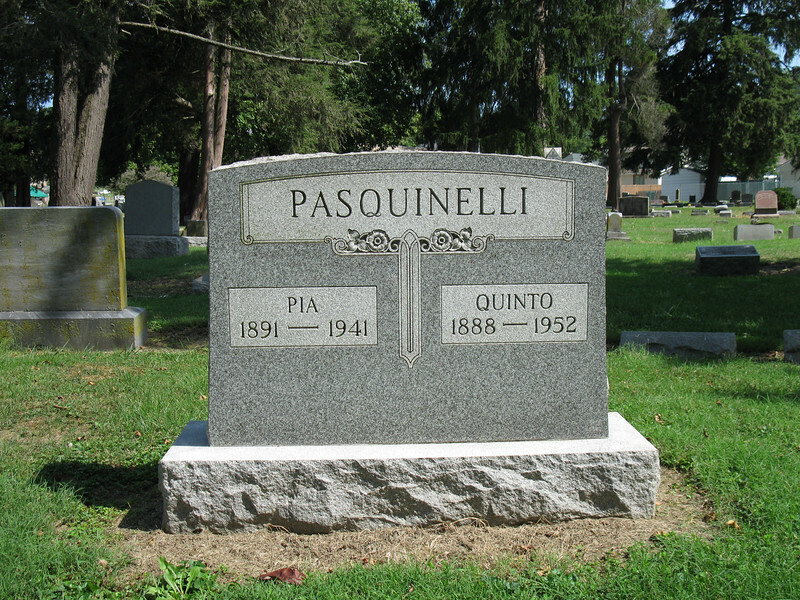 Sure, I didn’t expect to find any relatives in the Vandalia cemetery, since none of my ancestors are from there. But hello! I work in a local history reference in an area that includes Vandalia – I’ve seen lots of those names before. 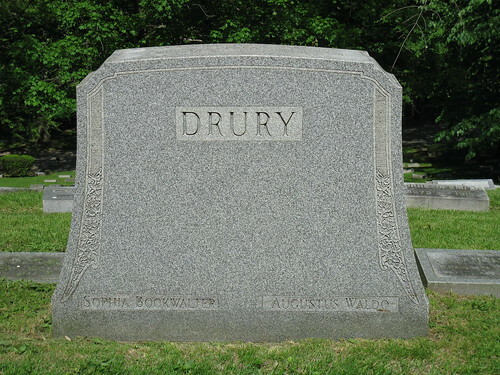 And if you didn’t already find me morbid enough — hmm, this is not made better by the fact that my previous entry is all about keeping dead people’s hair, is it? — I have one other reason that I like stopping by cemeteries: it’s comforting. That may no make much sense. Most of the time when people are in a cemetery, “comfort” is probably about the last thing they are feeling: they are probably burying a relative or friend or visiting that person’s grave because they miss them or want to pay respect to them. There’s not much “comfort” that comes with those things. 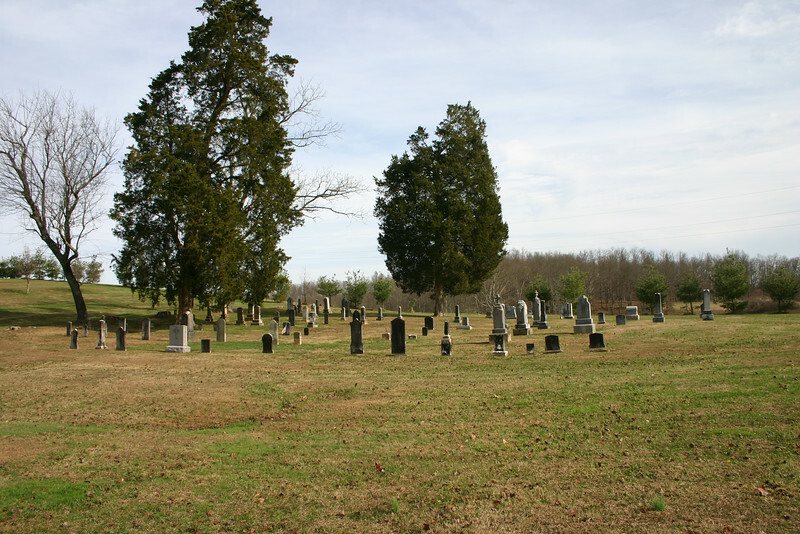 But I don’t really think of a cemetery as a big field planted with dead people. 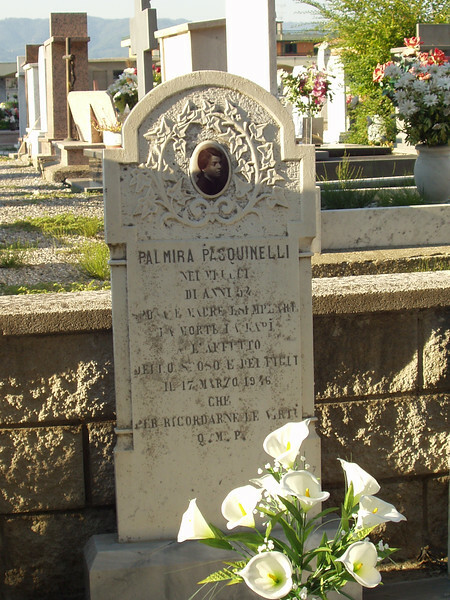 And okay, most of my experiences with cemeteries has been tinged with “adventure” or “treasure-hunting” or “discovery” rather than grief or loss. I’ve gone into cemeteries so many times, already knowing why, when, and how some of those people “got there” and some of the things they endured in the years (whether many or few) leading up to that final resting point: cancer, tuberculosis, operations gone wrong, accidents, death of a child, abandonment, less-than-stellar parents, financial hardships, crappy occupations (or downright unemployment), long emigration voyages on rough waters, discrimination, frontier life, the Great Depression, war, floods, losing everything… I could go on and on, but you get the picture. I can just sit down in the grass and stare out at those stones and “know” what hardships these people must have faced. Sometimes, I can “match” names and their relevant hardships together (like family members); but most times, 99% of the people I don’t even know, let alone what all they went through…but you could imagine. And it makes me feel like, no matter what is going on in my life, there’s probably somebody “out there” – in that field – who went through it before me (and probably suffered much, much worse). It gives me a weird sense of comfort. 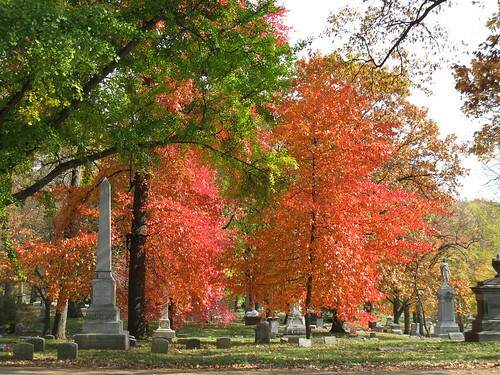 Plus, cemeteries are usually such calm, quiet places. It’s a good place to just sit and reflect. I like that about them, too. Hmm, I was trying to dial down the “morbid” by explaining why I like to hang out in cemeteries, but I’m not sure I really accomplished my goal by saying more. Maybe you’d have to be a genealogist/family history buff to understand. Is anybody with me?